The Hawks Nest Wahoo Tournament saw some nice fish come to the scales this week. Three fish over 100 pounds hit the dock, with two going 111 pounds and one going 121! Congratulations to the crew of the ZEPHYROS, winning with a total of 345.4 pounds! After seeing such quality fish caught in the Cat Island Wahoo Tournament we were eager to get out and fish the edge off Guana Cay. OU left the dock at the crack of 10 am to go find some Wahoo yesterday. The reports had been slow, but the wind shift accompanying the weak front that just passed, allowed us venture out with renewed hopes. Right after the lines were in 2 free jumping sails popped up out of the water 100 yards in-shore of us! Really what chance did we have? We had 2 leads attached Yo Zori Plugs down in the water. Never-the-less, we had to go in to the area and take a look, right? 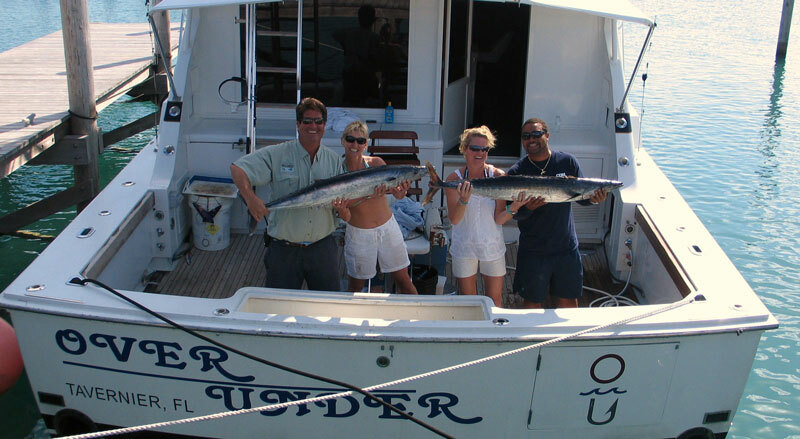 Oh well, no shot at them and we continued our search for some wahoo action. We went down the line to my favorite area to fish off of Guana. It did not take long to get a bite. The first bite was in 330 feet of water on the weighted down rod. After a brief fight, the Wahoo was gaffed and put on ice! This one weighed around 30 pounds. Quickly we got set back up and had a long rigger bite on a purple and black feather. This one was short lived and threw the hook after about 10 seconds. We decided to troll towards a great deep drop spot and had our third Wahoo bite come tight on the deep rod again. This fish was active. Everyone in the pit did a great job angler, mate and guests. The fish finally came to the boat after some classic head jerking and long runs. This second fish came in around 40 pounds. Our short trip had us back at the dock by 1pm and we decided to grill up some Wahoo for lunch! 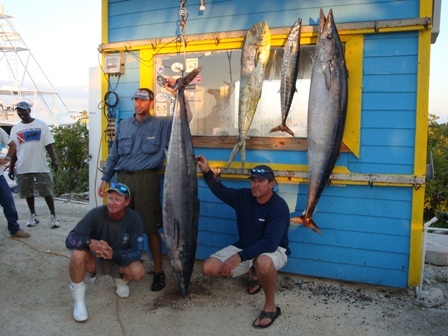 If you want to get in on the Winter Wahoo Bite, Treasure Cay is offering some incredible bargains on marina front town homes and we can put together the complete package, including airfare!